CP Daily Living does not endorse, takes no responsibility for, and exercises no control over the referenced organizations or their views, or contents, nor does it vouch for the accuracy of the information contained on external links, but offers this further information as a service to our visitors. You should never disregard medical advice or delay in seeking it because of something you have read in this site. The information provided through the CP Daily Living website or any links from the CP Daily Living website should not be used for diagnosing or treating a health problem or a disease. The information presented here is not a substitute for professional care. If you have health related questions you should consult your health care provider. 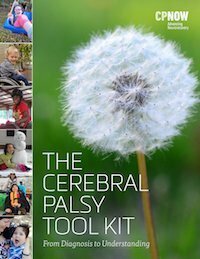 Since each case of cerebral palsy presents unique challenges for your child and family there is no one way of managing a child with CP. This is a reality we must accept as part of our journey and you must understand that what works for one child may not work or be appropriate for your child. Do not try to superimpose our experience (or anyone else’s) on your own. You will need to constantly determine (with your child’s doctors, therapists, etc.) what path/s you will take or create. It is important to be discerning and thoughtful about which doctors, facilities, schools, approaches/philosophies, medicines, and therapies to choose. Rather than using this site as you would a point to point navigation tool that tells you turn by turn how to get to your destination, consider it a place where you may find a variety of tools to better equip you for your particular journey.